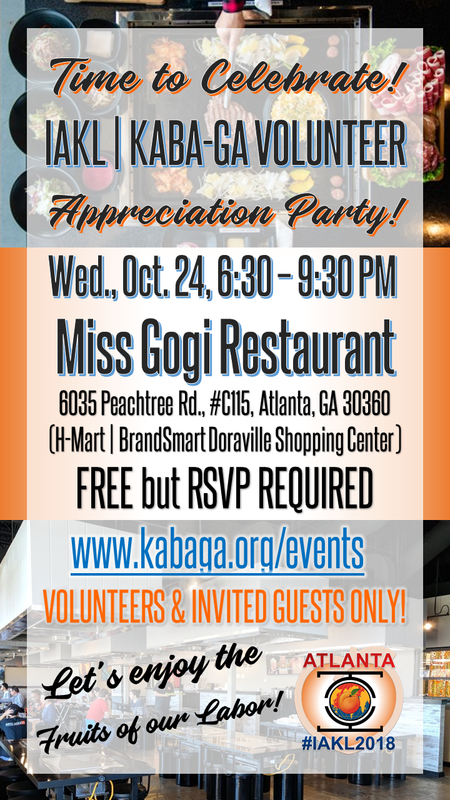 Korean-American Bar Association of Georgia - IAKL | KABAGA Volunteer Appreciation Party! IAKL | KABAGA Volunteer Appreciation Party! A SUCCESSFUL 2018 IAKL CONFERENCE! FREE, but only open to VOLUNTEERS!